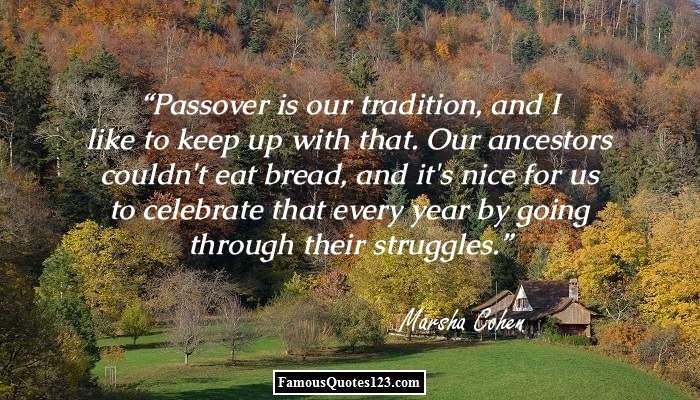 Celebrate Passover in the true festive essence with inspirational and motivational quotes. 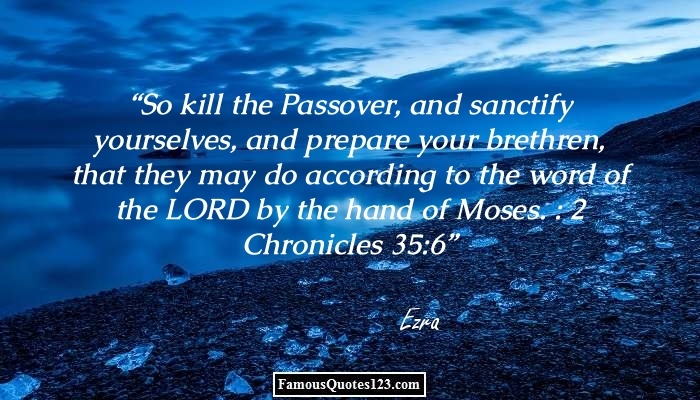 Read to know famous Pesach quotations and sayings. Passover is one of the biggest and grandest festivals celebrated by the Jewish community across the world. 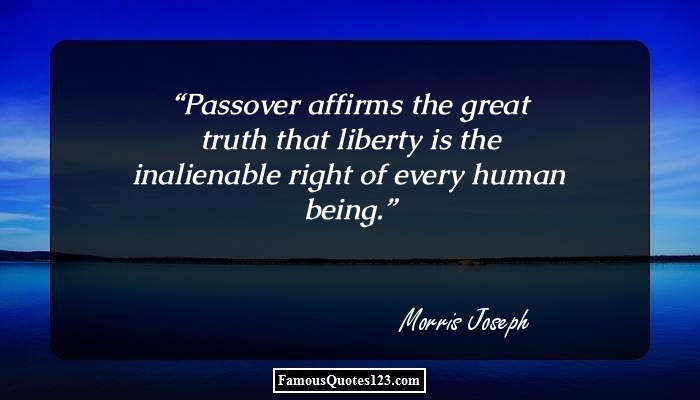 Marked with immense zeal and gusto, Passover commemorates the freedom of the Jews from the brutal slavery of the Egyptians. Celebrations begin on the 14th day of the Nissan month, where family and friends gather together to mark the festivities with traditional customs and rituals. Enjoyment, merry making and joyfulness are the most significant highlights of the holiday. Delicious and scrumptious delicacies spread out their enticing aroma across the houses, reminding people of the holy festival. Furthermore, people indulge in exchanging greetings and gifts to mark the holiday. 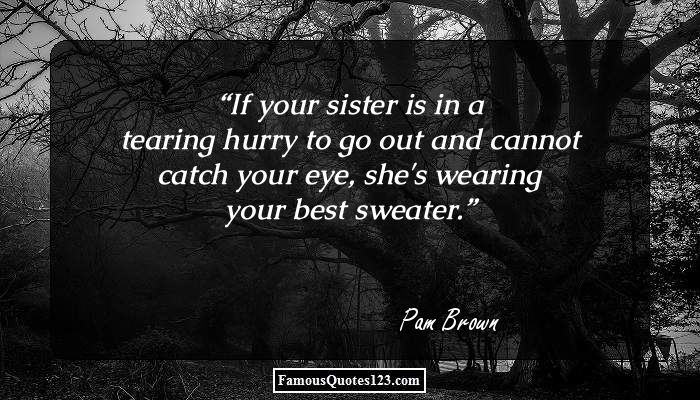 These can be further enhanced through sharing some inspirational Passover quotes and sayings. Go through the following lines to know some famous Pesach quotations and sayings. Passover is our tradition, and I like to keep up with that. Our ancestors couldn't eat bread, and it's nice for us to celebrate that every year by going through their struggles. 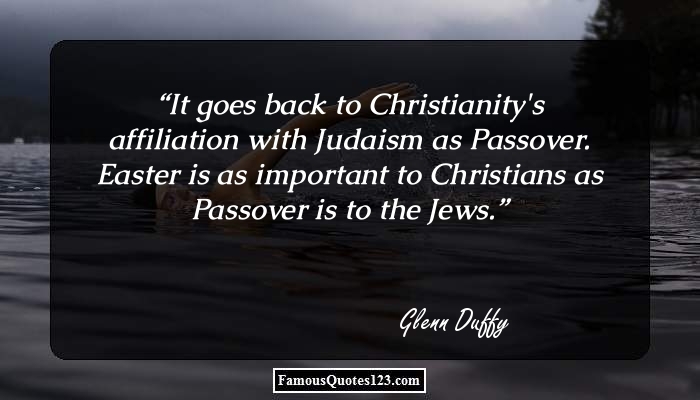 It goes back to Christianity's affiliation with Judaism as Passover. Easter is as important to Christians as Passover is to the Jews. A lot of people think Passover just means you can't eat bread. But it's so much more than that, and that's what I find the hardest. I love ice cream, but it has corn syrup in it, so I can't eat it. Passover has a message for the conscience and the heart of all mankind. For what does it commemorate? It commemorates the deliverance of a people from degrading slavery, from most foul and cruel tyranny. And so, it is Israel's - nay, God's protest against unrighteousness, whether individual or national. We've passed an energy bill in the House, to help us be less reliant upon foreign oil so we can get gas prices down. But nothing happens in the Senate. Then led the Jesus from Caiaphas unto the hall of judgment: and it was early; and they themselves went not into the judgment hall, lest they should be defiled; but that they might eat the Passover. God said to Moses, I am who I am. This is what you are to say to the Israelites: I Am has sent me to you. We want to provide some of the food for students to celebrate Passover throughout the week. We want to lower the perceived barrier that there is for observance on campus and to make it very easy for students to celebrate. Everything around the gallery was destroyed. But Antonio's robots right inside the door were fine. It was like Passover. 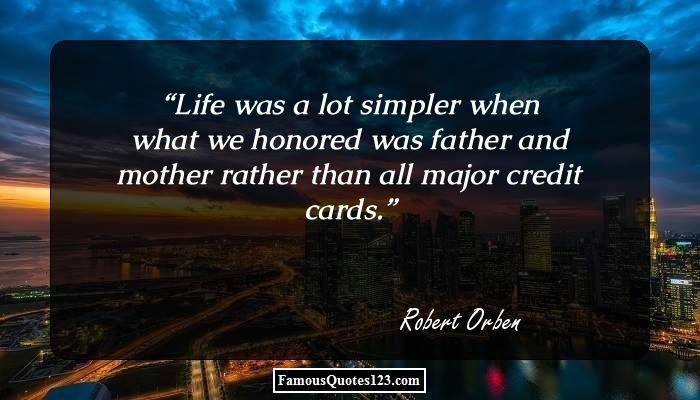 And ye shall say unto the goodman of the house, The Master saith unto thee, Where is the guestchamber, where I shall eat the passover with my disciples? And he shall shew you a large upper room furnished: there make ready. Observe the month of Aviv, and keep the Passover to Adonai your God; for in the month of Aviv Adonai your God brought you out of Egypt by night.